Forest Grove Reformed Church contacted me in the summer of 2013 in hopes of giving there website a make over. I feel we accomplished that and then some! 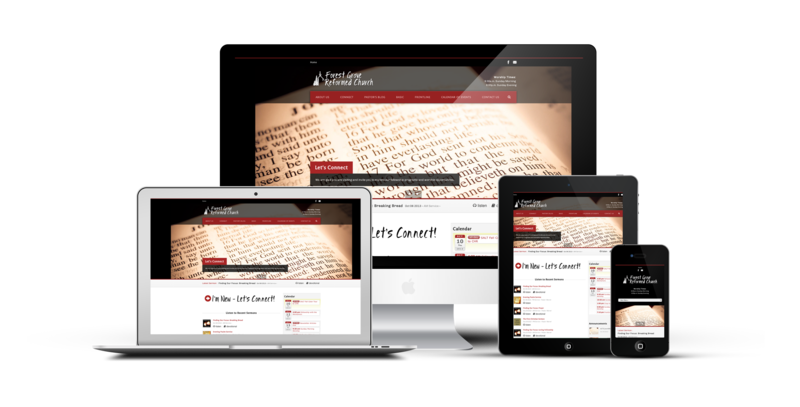 We also took the opportunity to combine the Pastor’s Blog, two Youth Group Blogs and the church newsletter into building the site. One of the most popular sections on the old site (based on viewing data) was the audio of Pastor Jud’s sermons. So I made sure the sermons were front and center and easy to find. We also added a PDF download link for the weekly devotional. RVWS was pleased with the results and will continue training staff on using the website systems to maximize their communication efforts.